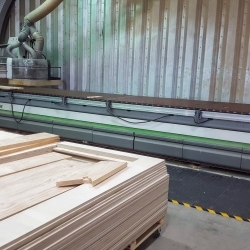 In April 2015 we invested in a Biesse Rover CNC machine. This technology enables us to design a staircase on a computer and with perfect precision cut and rout out all the components of the staircase. The end result is a much more accurately made stair. Before with a handmade staircase the tradesman followed any curve that was in the timber. 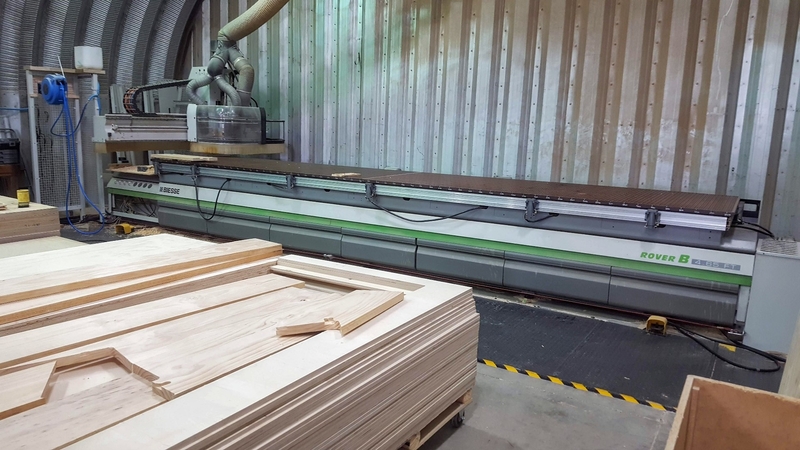 The CNC machine rout’s out the stringer in a straight line and then buzzes around the outside edge, making each component perfect ready for assembly. Also previously, we used to cut out all the winders, treads and risers by hand with skill saws, table saws and cut off saws. Now all cut picture-perfect.